Chris Rwabukamba should give the Lions ratio flexibility. The first three days of CFL free agency are done, and the BC Lions appear to be finished sifting through what’s out there and will now focus their efforts on the draft and upcoming free agent camps. While they only added one player from the available pool of league talent, the addition of Chris Rwabukamba is one the Lions have been trying to make for a couple seasons now. The former Edmonton Eskimos DB has the flexibility to play the corner or at safety and with comfort of having Canadian Matt McGarva, the Lions may finally have that national safety they’ve been coveting for two years. McGarva is coming off a second major knee injury, but if he can have a solid return to the lineup it gives the Lions great roster flexibility. In the loss column, the Lions say goodbye to Ernest Jackson, who in the second half of last season took on a major role in the offence. The Lions wanted to have him back, but the money paid by the Redblacks closed that window. While Jackson may continue to thrive, the body of work didn’t necessarily reflect his new deal with Ottawa. The Lions have Lavasier Tuinei and Bryan Burnham waiting in the wings and both showed promising talent in their appearances last season. The off-season signing of Austin Collie, a healthy Courtney Taylor and Manny Arceneaux, combined with improved numbers from Shawn Gore and Marco Iannuzzi should mean that the Lions should be ok without Jackson. The Lions might have wanted to add an offensive lineman and were reported to be talking to Stanley Bryant prior to Winnipeg securing the two-time all-star. But most of the top tier players had already re-signed with their clubs or found NFL deals south of the border. While fans (including myself) are pining for improvement with the offensive line, I don’t think the cupboard is as bare as people think. The key for the Lions will be to have their young guys make strides of improvement, while at the same time, stay healthy. Hunter Steward impressed in his limited action last year and Kirby Fabien was having a stellar rookie season before his injury. Last season, Fabien struggled both mentally and physically returning from that injury, and will hopefully rebound. T-Dre Player also showed some promise and will be attending his second training camp. After a strong rookie season, Matt Norman will be under scrutiny at training gamp with talk that the Lions may try Cameron Thorn under centre. At tackle they are solid on the left with Jovan Olafiyoe and on the right Jermarcus Hardrick provided some stability in the second half of last season. The Lions would also like to find a kicker after releasing Ricky Schmitt and losing prospect Rich Leone to the NFL’s Pittsburgh Steelers. Of course Paul McCallum will be back at camp, but to ask him to both jobs will be a stretch. Ideally the Lions would like to find a kicker that can handle all duties. Travis Lulay is the key. Of course the big question is at quarterback and the status of Travis Lulay. The Lions have spoken with Dan LeFevour and Lowell Ullrich reported that they will wait and see what they have at their April offence camp before deciding if more help is needed. John Beck will return with a better knowledge of the CFL game and newcomer Jordan Rodgers will be evaluated as well. Should LeFevour still be out there, and the Lions decide they need help, don’t be surprised if they look at bringing him in. There will be more players added through the draft and free agent camps and don’t underestimate the contacts that new coach Jeff Tedford has south of the border. 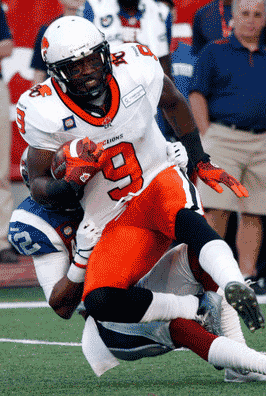 The Lions may not have been busy to start CFL free agency, but they do have the nucleus to make strides in 2015. And that will be critical in the tough CFL West Division.